The skin around the eye area has a thickness of 0.5 mm and is much thinner than the normal facial skin, having a thickness of approximately 1.75 – 2.5 mm. Additionally, the eye area has few subcutaneous fat and only has few sebaceous and sweat glands. First signs of skin aging quickly become visible in this area because the amount of collagen and elastic fibers is also lower than in other skin areas of the face. 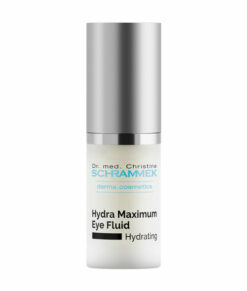 Furthermore, the eye area is stressed by frequent blinking of the eyes resulting in an accumulation of water. Eye care products can, on the one hand, help to prevent premature skin aging, provide moisture and, on the other hand, reduce swelling and shadows under the eyes. 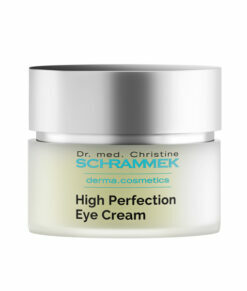 Contrary to other care creams, they contain no creeping oils which often irritate the eyes.